The Venue Residences and The Venue Shoppes Singapore by City Development Limited (CDL) presents a modern mixed development placed at Tai Thong Crescent, Singapore District 13 with commercial shops on the 1st storey. The Venue Residences stands at high and consists of unit mix of retail shops, typical units and penthouses. Whatever that you may want, The Venue Residences and the Venue Shoppes gives the answer with 28 retail units that offers up you the excellent ease and convenience, be the first in fashion, food and many more right at your doorsteps. Receive a smell of joy the minute you step-in with its grand and bigger design, shoppers will now feel specially welcome. While shoppers pamper in a homey, fine ambiance, you love a working store layout planned with your ease in mind. From the store front to shop interior, each detail is well-planned, providing your shoppers the most tasteful experience and your business the biggest opportunities. Splendid project endowed with a attentive touches deal all room of your luxurious unit at The Venue Shoppes. Top-notch finishing and furnishing qualify each living space, working the lights out of everyday living while stylish fittings supply fresh feel to your contemporary life-style. And with prime facilities and preferred amenities around, your living will be nothing short of brilliant. Step into The Venue Shoppes and enjoy in class you can call home. Also, a wide variety of amenities like shopping, dining as well as latest facilities, which are reachable at Serangoon and Toa Payoh Town Centre situated nearby. Shopping plazas include City Square Mall and NEX are too conveniently situated. 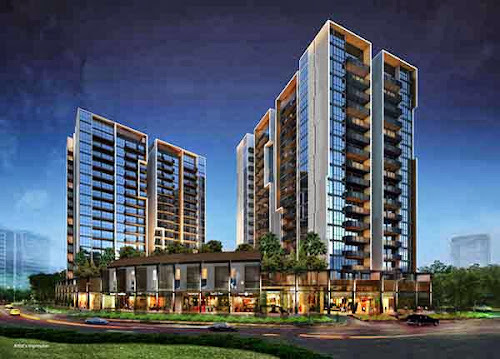 Furthermore, this development is well-connected to major roads and expressways which include Upper Serangoon Road, Pan Island Expressway (PIE), Central Expressway (CTE) as well as Kallang-Paya Lebar Expressway (KPE). Residents staying here will delight easy accessibility to every different areas of the island with Potong Pasir MRT station located right at your doorsteps. In addition, It is as well truly easy for the residents with commercial actions like retail stores and F&B outlets straight here in one development. This next development, The Venue Shoppes, leave a perfect for families with on-going school children as good educational institutions include Cedar Girls’ Secondary School and Cedar Primary, Maris Stella High Primary and Secondary School, St Andrew’s Junior, Secondary and Junior College are settled just a stone's throw away. Visit http://www.the-venue-residences-venue-shoppes.com/ for more important info or speak to the marketing team at 6100 0877 for enquiries. Today, there have been 11 visitors (53 hits) on this page!